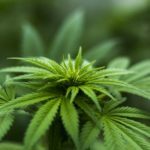 Disclosure: I was fortunate enough to be selected for the 2018 Rock ‘n’ Blog Team. 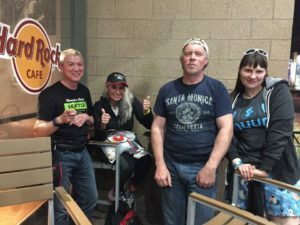 Members of the Rock ‘n’ Blog Team receive free entry to up to ten Rock ‘n’ Roll races and one VIP, and other surprise perks. All of the opinions in this review are my own, there is no sponsored content. Per usual, I’ve got plenty to say on my own. 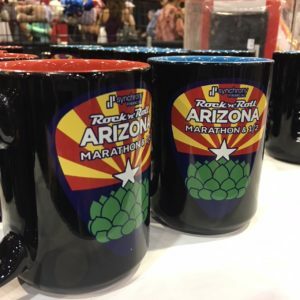 The times, they are a changin’, since Ironman bought Competitor Group and is now entering its first year solo as the owner and producer of the Rock ‘n’ Roll Marathon Series. While some of the bigger changes were already phased in—such as the much-anticipated price increase for Tour Pass and the elimination of the unlimited Tour Pass option (bringing the cost per Tour Pass race to $70) and the transition of the Competitor staff who accepted offers to move to Tampa into their new Ironman roles—many were waiting for the first race of the year to see what the new series owner has in store for Rock ‘n’ Roll. Personally, I’m disappointed the new team wasn’t proactive in communicating the cancellations of the Brooklyn and St. Louis races—basically people found out about it after they were removed from the website. This is a huge missed marketing opportunity for Ironman, especially since there are semi-credible rumors that new Rock ‘n’ Roll destinations are on the way. When Rock ‘n’ Roll and the Vancouver races parted ways, everyone who had run Vancouver got an email about the change. 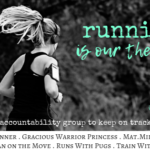 This was a great way to help set runner expectations—oh, the races are going forward, they just won’t be part of the Rock ‘n’ Roll series—without having to field a dozen email inquiries about what if you pre-registered, etc. Pre-season general communications could also have been used to communicate some of the series-wide changes in advance of the races and prevent them from becoming fodder for Facebook page complaints, as well as to put a more positive spin on some of the unpopular changes. Unfortunately, it wasn’t from Ironman but from social media (or at the Expo!) 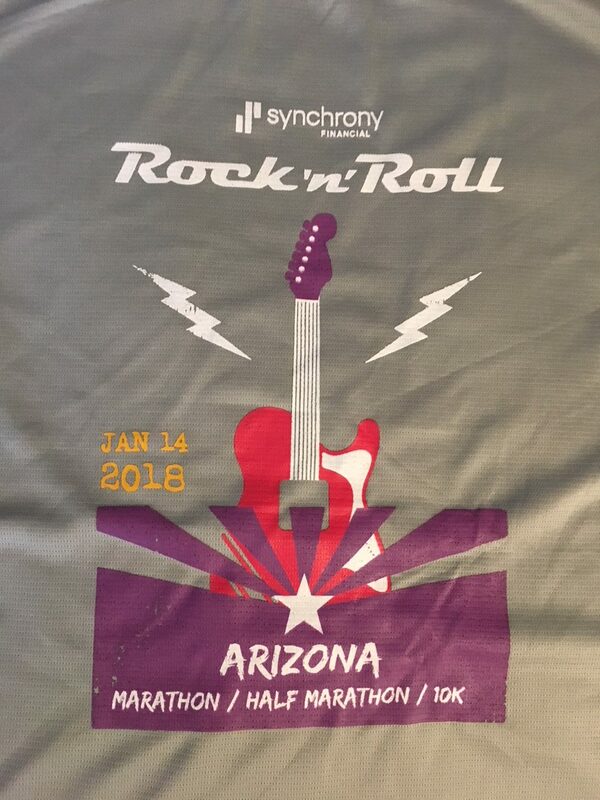 that most people learned the marathon jackets have been discontinued, as have the physical Tour Pass credentials (and the Tour Pass priority check-out line for the Brooks/Rock ‘n’ Roll merchandise area), and the Tour Pass vanity bibs/back bibs. Confirmations. In years past, each participant got an email to print out a waiver. You’d go to the Rock ‘n’ Roll website, enter your full name and birth date, and (assuming you were registered!) 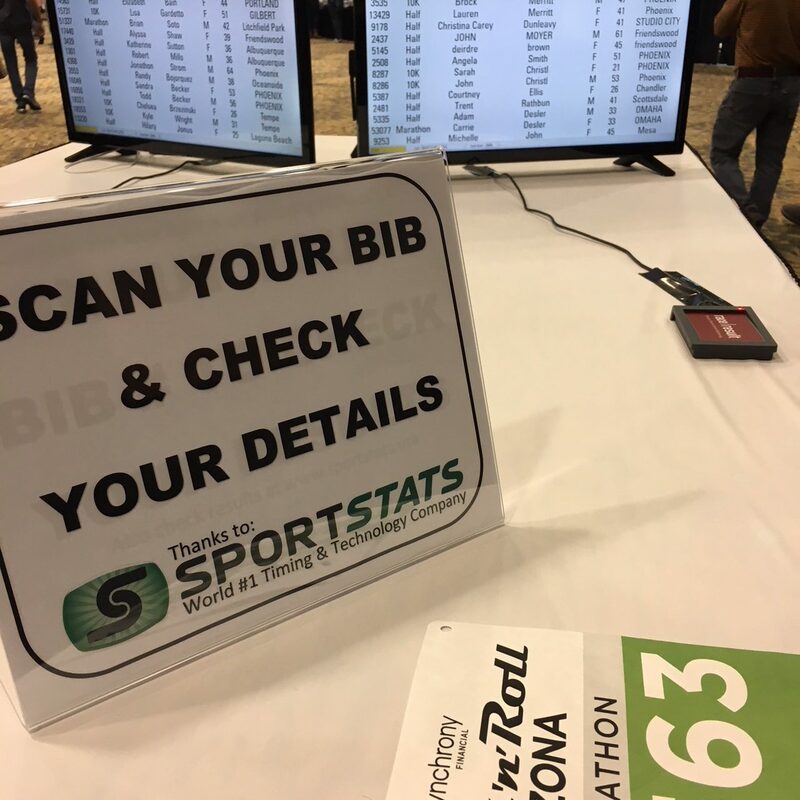 a .pdf document would pop up, pre-populated with your name, address, bib number, and other details. This year I got my email, and went to the website to print the waiver. It only required my last name, and when I pulled up the confirmation page to print, it was blank—I had to hand-write all of the information in myself. While that last part is definitely a #firstworldproblem, I’m a little concerned about only needing my last name to pull up my bib number. If you don’t need to know anything else, it’s pretty easy to print up a confirmation sheet and pretend to be me. 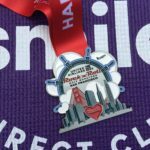 Sure, the volunteers at packet pickup are trained to look at each ID before issuing a bib, but the same is true at runDisney races and there are at least two known documented instances of bib theft at the Disneyland races. Mugs sporting the finisher medal design. Pre-Race Communications. 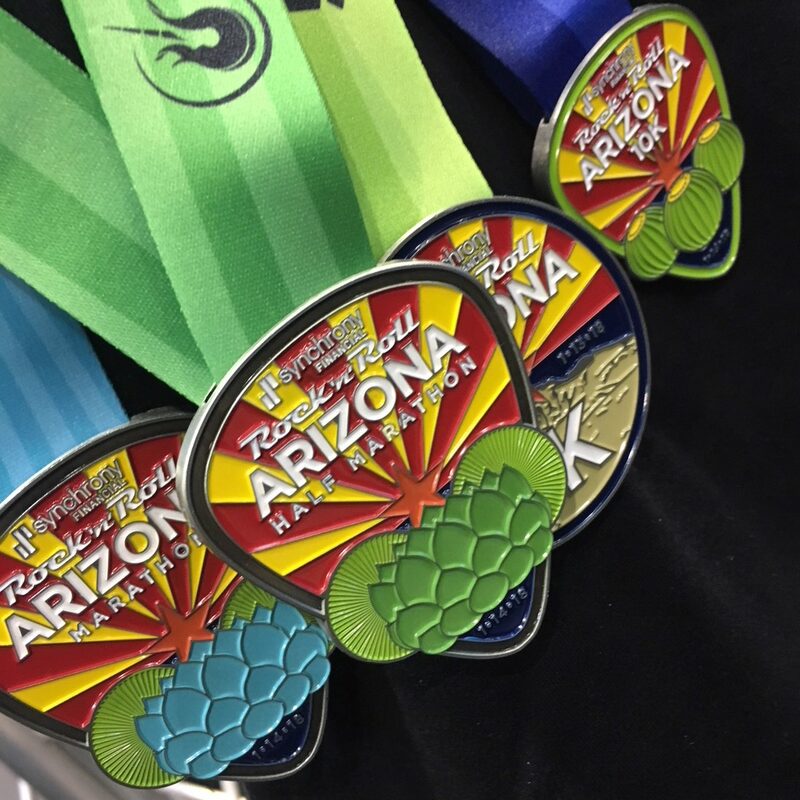 I’ve run the Rock ‘n’ Roll Arizona marathon once, and the half marathon twice, in addition to a few rounds of the 5k (and that sweet remix medal). 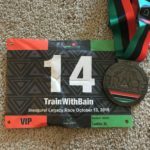 Though I opted out of the 5k this year—the December sale price was still a bit higher than I’m willing to pay for anything but a charity 5k—I had initially set my expectations based on my past experiences, all of which were good. (See my review for last year.) The pre-race email from Rock ‘n’ Roll completely changed my expectations. 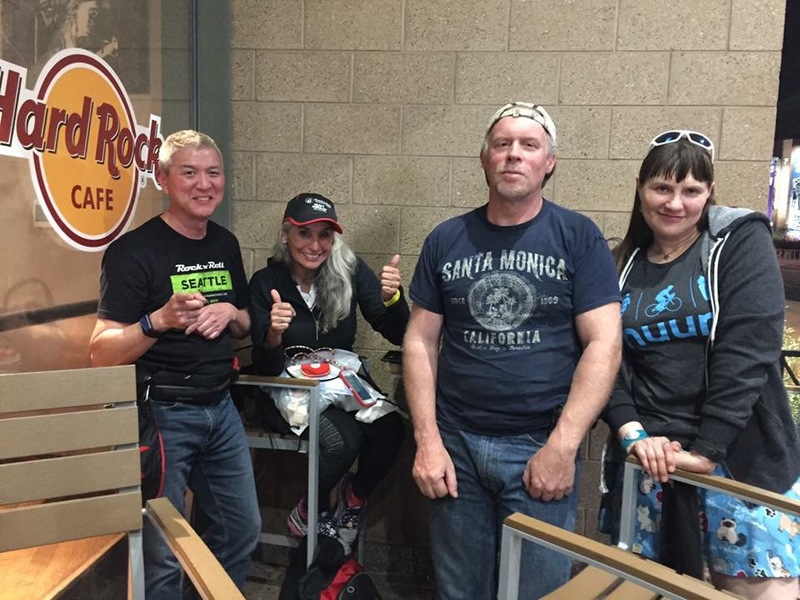 These all communicated that the new Rock ‘n’ Roll experience would be focused on the on-course experience: a band every mile, more food on course, new signage, and other enhancements to the actual race. I also got several emails about the all-new, improved series app with live runner tracking, which I downloaded immediately. Boarding the plane to Phoenix, I was excited to see what the new race experience would be like. Expo: Entry. My race roommates and I basically went from our planes to the race expo at the convention center downtown. Arizona confuses me a little, as it seems like all the cites overlap each other and are smushed together, yet nothing seems to be near anything else. (If you’re headed to this race, I highly recommend being prepared to Uber and Lyft.) Anyway, we got to the expo safely and strolled right past the “look up my bib” stations because we were prepared. Walking into the expo, the first thing I noticed was the Hall of Fame banner, because it wasn’t there. I usually start my expo by taking selfies with my Hall of Fame friends who aren’t going to the race, so that was a bummer. I hope the Hall of Fame banner debuts at Rock ‘n’ Roll New Orleans. One great addition: a station where you can scan your bib to check the timing chip and make sure your information is correct. Expo: bibs, shirts, and Brooks. It was a quick few minutes and I had my bib in hand. The bibs are basically the same design as last year, with one major improvement: no more shoe timing tags. If you’ve run Rock ‘n’ Roll in the past, you know the routine: pull the plastic strip off of the bib, tear it in half, attach the correct half to a shoe by making a loop. No more. Finally the timing tag is ON the bib, so you don’t have to do anything about it, it’s there. Another improvement? The back of the bib has a pre-printed label with your emergency contact’s name and phone number. This is a great idea. The only complaint I heard is that you cannot fold the bib—which is large—without wrecking the timing chip. This isn’t a problem for me, since I’m tall and I generally put my bib on a race belt or use Race Dots. My shorter and smaller friends have less available real estate for the giant bib would love smaller bibs or a different timing tag. I’m confident that in a race or two they will craft a hack that takes care of this. Yay, bibs! All of the 2018 shirts revealed so far feature this graphic with a very slight variation. The shirts? That’s another story. 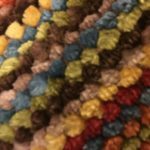 While I didn’t immediately notice, I overheard several runners complaining about the shirt fabric; on further inspection, it does appear thicker, less soft, and less wicking than the shirts from last year. I don’t know if Ironman fired all of their graphic designers or what, but the shirt is pretty awful. 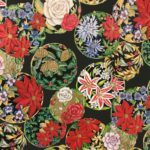 This was an issue with Rock ‘n’ Roll shirts a few years ago—they were all poorly designed and a crazy percentage of them were grey–it was one of the major gripes of the season. For starters, the Arizona shirt is grey. The graphic appears to be the stock image for all of the series shirts this year—the rectangular-shaped object over the bottom that has the race name on it is the only variation. (For New Orleans, it is a street car.) In Arizona, this design would have looked better in colors of the state flag– red, blue, and yellow. I heard quite a few complaints about the shirts, which is unfortunate as it’s a huge missed opportunity for the race. From the race’s standpoint, the shirt functions as free advertising (as other people will see it, assuming the participants wear it), and it can also serve as a reminder to keep the race in the runner’s memory throughout the year (assuming they wear it) and perhaps plant the seed of running the race again the next year. Hopefully Ironman is listening to runner feedback, since that has always been one of the main reasons the Rock ‘n’ Roll series was beloved by repeat participants, and will make a mid-year course-correction. My favorite of the Brooks shirts–great design! The gear produced by Brooks, in contrast to the official race shirt, was adorable. Brooks had several great designs and colors. Since one of the two things I had forgotten to pack was a hat, I treated myself to a new one—turquoise/teal with embroidered race name on the side. Brooks also had the snazzy new Rock ‘n’ Roll design shoes, a tie-dye print that just made me happy looking at it. The Brooks area also featured an expanded line of Rock ‘n’ Roll race-specific merchandise, from pint glasses and coffee cups to a stuffed animal. The only bummer in this area is that the express lane for Tour Pass holders was gone, again making me think the Tour Pass may not be on the tour next year. 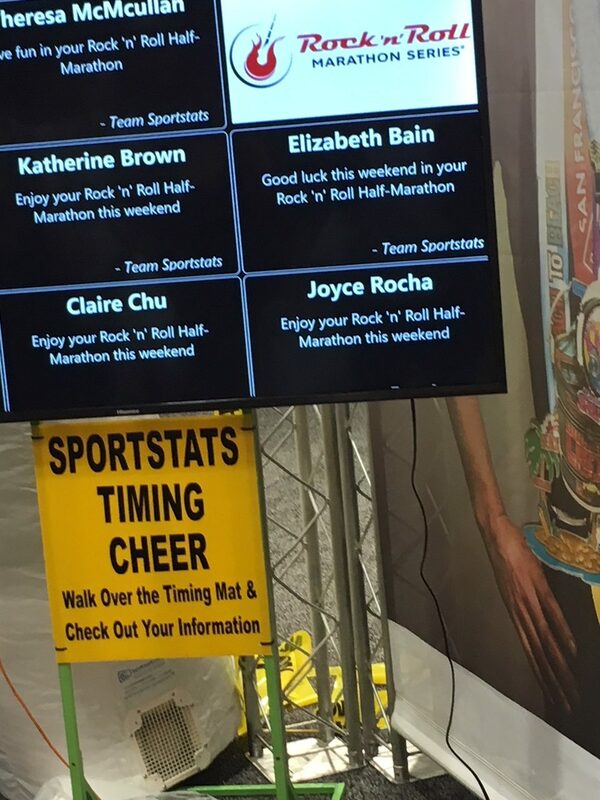 As you walk into the expo, crossing a timing mat with your bib returns a cheer! Expo: main expo. Since I had forgotten to pack only two things—the aforementioned had and my sunglasses—my agenda at the expo was to get a hat and a pair of goodr sunglasses. (Sadly, I lost my favorite Maui Jim’s at Disney World, and Maui Jim wasn’t at the expo.) The Arizona expo was small compared to the expo at each of the prior Rock ‘n’ Roll Arizona races I attended. Curiously, there were several booths that had nothing to do with running or tourism in Arizona, which are the things I expect to see at a race expo. There was a booth doing some kind of hair extensions, for example. There were two or three booths selling anti-wrinkle creams which was a huge disappointment. I’m hoping this isn’t a trend—there were also aggressive anti-wrinkle cream peddlers at the IDEA World fitness convention in Las Vegas last year, but I attributed that to Las Vegas. I don’t go to a race expo to have some booth assault me with a “no more Botox” theme. Thanks, I don’t do Botox, I take good care of my skin, and wrinkles are a natural part of aging. Whatever. It was a weird expo, with many of the main race sponsors not there, and several of the regular exhibitors also absent. 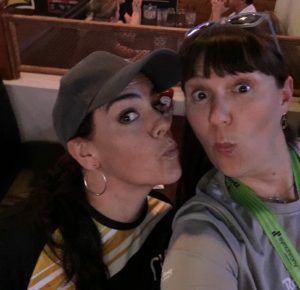 Overall, the expo was somewhat disappointing, but I assume this was a function of (1) the newly increased booth prices for exhibitors, and (2) the series’ new focus on the on-course experience. The parts I liked best about the expo were seeing my friends and trying Tailwind for the first time. One of my friends is now a head honcho with the Spartan Race series expo booths, and we got to catch up. (Look for big things coming from Spartan this year—more races, more stadium sprints, more in-expo experiences.) A bunch of the Rock ‘n’ Roll regulars tend to eventually congregate in the Rock ‘n’ Roll booth to catch up, make plans, and take pictures. Finally, at the Hot Chocolate booth I also had a “hey! I follow you on Instagram!” moment, which is always fun. For me, the best part of running races is all the great runners, and I’m always thrilled to meet people in person who I’ve only seen online. Tailwind, if you haven’t tried it, is AMAZING. I’ve been wanting to try it for quite awhile, but I hesitate to buy any running fuel that I haven’t taste-tested first. If you’ve tried enough running fuels, you know that not all of them agree with all digestive systems and that you really want to know if one is going to fight you before you buy a bunch of it. 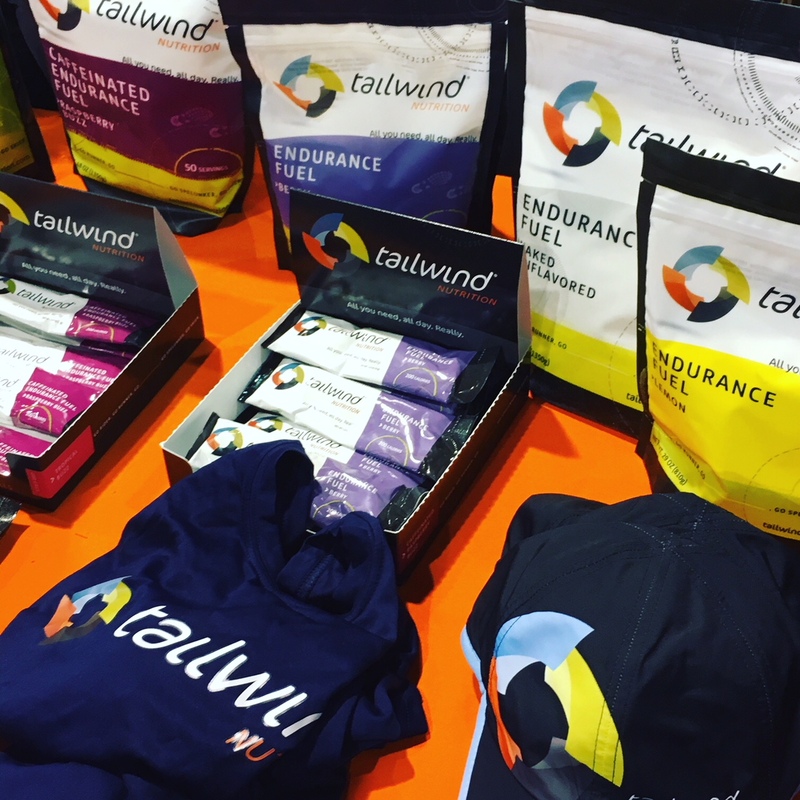 The Tailwind booth had four different flavors of fuel to taste, and two of their recovery drinks (which I skipped for now). 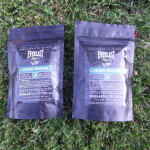 Tailwind is a powder you mix with water, and it serves as both fuel and hydration. 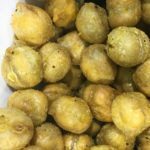 When mixed as directed it has a thin consistency like water, a very light flavor, and almost no color (Tailwind doesn’t have any artificial colors in it). To my great surprise, not only did I like all of the types of Tailwind I sampled, the orange (yes, orange!) was my favorite. Usually I’m a berry or fruit punch flavor type of runner, and I avoid orange popsicles, orange soda, orange drinks, and orange desserts. Tailwind orange is pretty delicious though. I bought a bag of orange (orange!) at the expo special price, and also some samples (single-serving size) of other flavors. In my mind, this was a major expo win—but more on Tailwind later. Race Day Preparations and the Starting Line. My crew selected their hotel based on proximity to the finish line at the park. Turns out it was also quite close to the starting line for the half marathon. (The marathon has a smaller field, and a separate start.) The morning of the race I got dressed, mixed up a packet of Tailwind (which dissolved immediately, without extensive mixing/shaking, and without any gritty undissolved bits at all), and headed over to the starting line. Unfortunately, I relied on the app to tell me where the starting line was—and it was wrong. I learned this when I arrived at what I thought was the starting line, only to join about 20 other runners walking over to where the starting line actually was. Bummer. This would be MUCH easier to read if the entire square had the number. I'm already in the corral area, it's pretty easy to figure out what the number is. 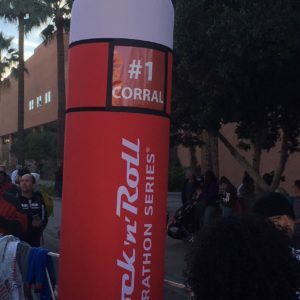 The starting line did feature new corral markers, which were inflatables instead of cardboard signs. While they were easy to spot, they were difficult to read. 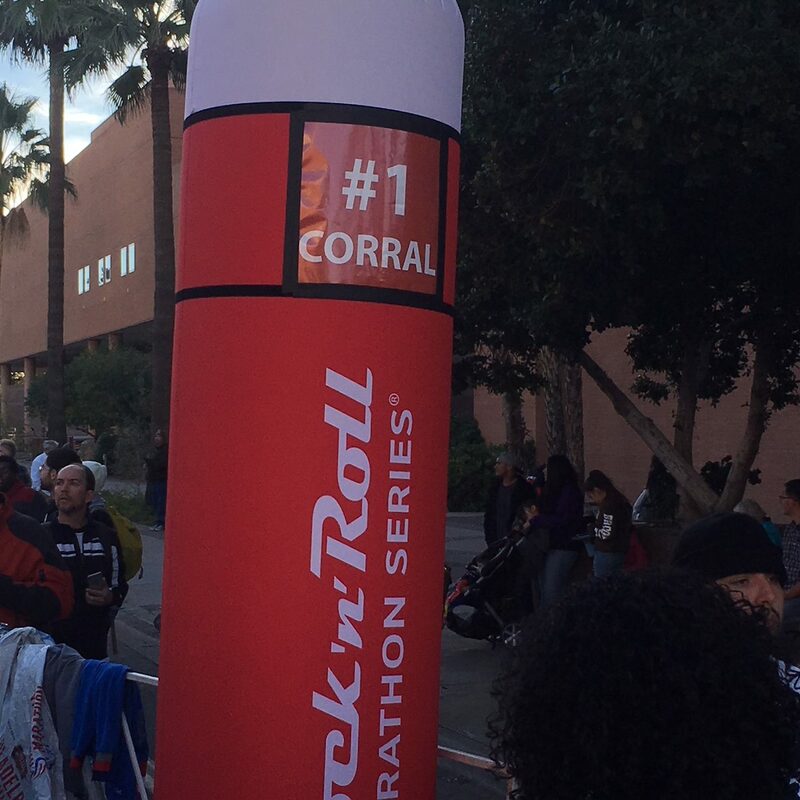 The markers are thick material like a bounce house, and they wasted spaced with “corral” and the number sign. To my over-40 eyes, they were actually harder to read from far away than the old sign-on-a-stick (I ended up in the wrong corral initially). On the bright side, the starting line had pumping music and a ton of energy. We all missed Ann, the usual Rock ‘n’ Roll announcer, who is sidelined with an injury for the time being. The stand-in did a great job of keeping the crowd pumped up though, and there was a lot of fun and fanfare. The On-Course Experience. Had I stuck to my expectations based on my prior experience running this race, they would all have been met. But as I mentioned earlier, I had received a bunch of email hyping the new focus on the experience during the race and so I was excited to check out the new race experience, so I was looking out for the specific items mentioned in the email. One of the things mentioned in the emails was new signs at the corrals and on the course. The signs on the course were color-coded aid station signs that let runners know what would be offered at the aid station. I definitely appreciated that I could see the signs before I got to the aid station. At the same time, signs are a depreciable asset and need to be replaced every now and then; while I liked the new signs, I see them as more of an ordinary business expense and less of an enhancement for the runners. Food on course. Half marathoners did not get food on the course. (I believe the marathon runners were offered bananas on the course.) Based on the emails, I thought there would be some actual food at the half marathon aid stations. Gel stations. In past years, the half marathon course had one aid station with gel; last year the official gel was Glukos, and prior to that it was Gu. This year, Science in Sport (SiS) is the official gel. Some people love it, others don’t. Since I was experimenting with Tailwind, I didn’t eat gel on the course. 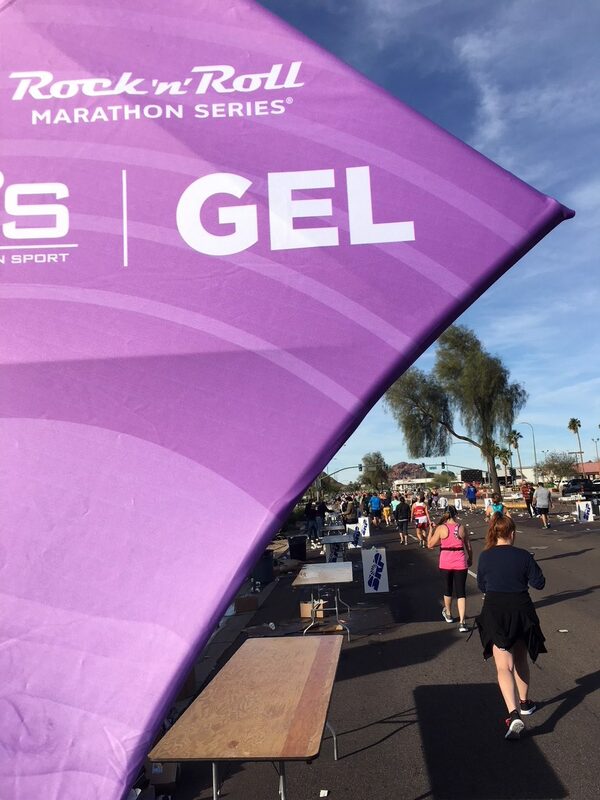 It’s good that I wasn’t relying on it, as the pre-race emails all promised me two gel stations on course, but there was NO gel at the first gel aid station. I saw the signs, and they were followed by an empty table and empty boxes. This is a course with a 4-hour time limit. I finished well in advance of the time limit, and was nowhere near the end of the pack. I’m disappointed there wasn’t enough gel for the slower runners at the aid station. Bands Every Mile. The pre-race emails also promised a band every mile. For the first 8 miles, the race delivered: a band every mile! Then the bands dropped off. There is an out-and-back portion of the course (which really needs a timing mat—it’s a known cheat-point as I documented last year) which I get would have been difficult to band-up, but there weren’t any bands for the last several miles. (There was a DJ station, but the DJ left before the course closed.) I’m not sure I need a band every mile, but if you promise me a band every mile and don’t deliver, that’s not good. “On Course Activations.” The pre-race emails promised more of these. When I read them, I thought “wow, this is a badly-worded email” because “activation” is a jargony-PR term that basically means something interactive with a brand. (So, for example, the opportunity to take a test-drive in a Toyota at the expo is an activation.) Historically, the on-course activations have been things like the inspiration zone with encouraging quotes put up by Alaska Airlines in Seattle. The only one I noticed at this race was the Toyota zone DJ. Overall, I had a good experience on the course. Post-Dopey I was walking, and I didn’t stop at Bosa Donuts this year, but the weather was gorgeous and the course has some scenic spots. I figured this out around mile 11, when I was thinking I’d never run this race again but then realized it was because the race wasn’t meeting my expectations—ALL expectations set up by the pre-race emails. Tailwind. Side note, remember how I tried Tailwind at the expo? I mixed some up for the race and carried it with me. Instead of taking Powerade during the race, I sipped on Tailwind throughout the course. (I did take a few cups of water at some of the aid stations, but no extra fuel.) I only carried one bottle (size: Camelbak podium, Nuun bottle) and it lasted the entire course. I never got sick of the taste, which is very light. My tummy stayed happy the entire time, and even after the race I wasn’t starving and ready to hoover all of the foods. I’m so excited to have found Tailwind! 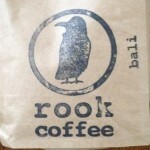 If you haven’t tried it, you really should! Finish line. The finish line was just like it has always been, with some adjustments to the post-race snacks. I grabbed a bottle of water and a post-race chocolate milk as I usually do (though Gatorade was also available). I took a banana. Snacks consisted of a granola bar (the plain hard granola kind), pretzels, and Pringles. 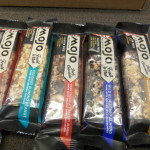 Personally, I really miss when the granola bar was a Power Bar (the thicker ones with the cake-like consistency); everyone who knows anything about sports nutrition knows you’re supposed to put some protein in the tank within the first 30 minutes after an endurance event. (This made me extra thankful for the chocolate milk!) I also miss the Del Monte fruit cups, though they were logistically a bit of a pain. Finisher Festival. 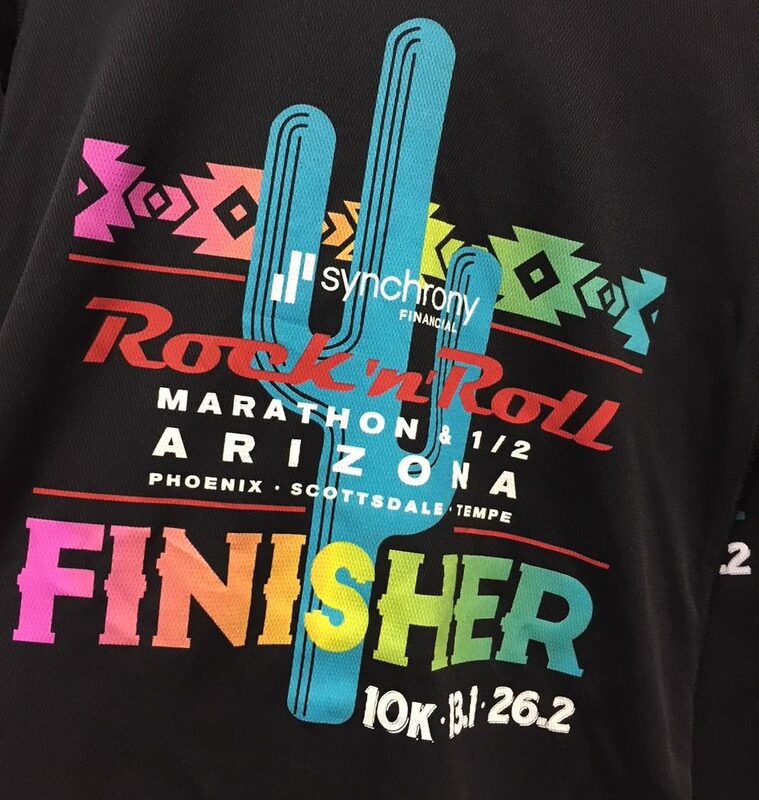 Rock ‘n’ Roll Arizona has one of the best finisher festivals of the series! We had a great band, per usual, and a series of food trucks from the Maine lobster guys who were on Shark Tank to a truck that served really great pretzels shaped like giant moustaches. It’s a great atmosphere, and a ton of people come to watch the band. We had great weather, though it was very, very sunny. Normal for Arizona, but kind of brutal after running a race. Bling. The medal is cute, and features a cactus and bright colors. 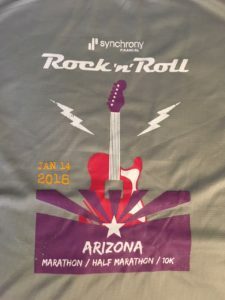 Unlike the generic design for the race shirts, the race medals this year are more race-themed, though to date every medal revealed is a guitar-pick shape with brightly-colored and cartoony artwork. The ribbon is a wide, satin-y ribbon with a colorful design and the race information, and I expect these will continue to be the standard (especially after the strong runner feedback several years back requesting them). Marathon Zone. 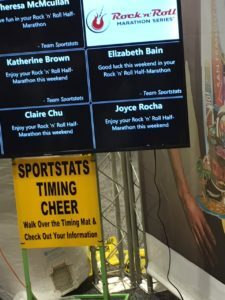 As I mentioned, I didn’t run the marathon this year (though the year I did run the marathon, I would have loved to have a marathon zone!). The Marathon Zone was one of several special perks just for marathoners. 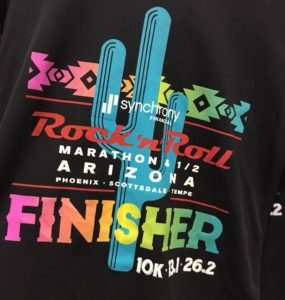 This was part of the focus on the race experience (and, I assume, added to assuage the hurt feelings of the marathoners who signed up to run Arizona last January and thought they were getting a marathon finisher jacket). Other marathon specials were the bananas on the course, and a red carpet (literally) at the finish line. Back to the Marathon Zone, which was a separate area for marathoners only. Inside there was a separate spread of food, including pizzas and Snickers bars, and a massage tent with free massages. Ultimately, I'd run this race again–and recommend it to you, too. Next time, I won't let the pre-race hype emails set up my expectations though. It's still early in the season, and there was a post-race survey that I'm sure plenty of runners filled out, so I'm sure the proud new owners of Rock ‘n' Roll have plenty of information. I hope they choose to carry on the Rock ‘n' Roll legacy of responsiveness to runner feedback–and maybe tone down the promises in the pre-race emails. I Kahnt believe I met Melissa of Run, Heifer, Run! Did you run Rock ‘n' Roll Arizona this year? How was the marathon? The 5k? The mile? 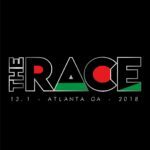 Will I see you at any of the other races I'm planning to run this year? Where else will I rock 2018? ← What on Earth is a “Soul Pose”? Thank you, I’m glad you enjoyed it. 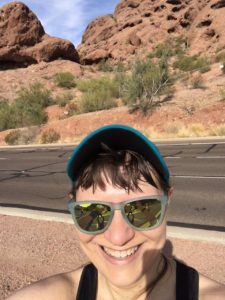 When I read race reviews, I’m looking for more than “it was nice, the course was pretty, and I had fun” so I try to write the kind of reviews I’d like to read. Not everyone’s cuppa, to be sure! Excited to see you in SF–it’s my only Rock ‘n’ Roll legacy race.